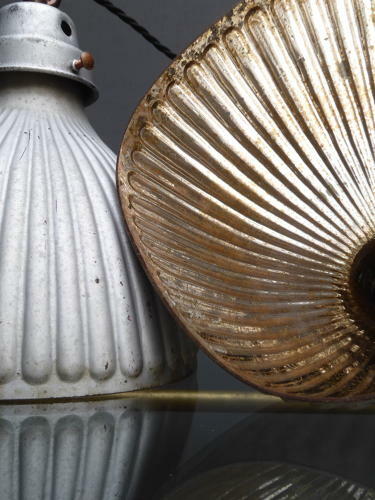 A beautiful pair of early mercury glass shop lights. A wonderful pair with asymmetrical fluted glass shades, the mercury lining boasting a fantastic age related colour, supported by pressed metal galleries. Wear commensurate with age with the usual minor loss & wear to the outer paintwork.